Syn. You-me-two & RIE 02. A new cultivar characterized by broad upright habit, large dark-green leaves, flowers that are yellow-green and pink in colour, and unique inflorescence development. 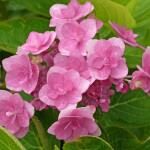 In combination these traits set this cultivar apart from all other existing varieties of Hydrangea known to the inventor. It originated when the inventor assembled a collection of unnamed and unreleased hybrids from a sequence of deliberate pollinations involving the following cultivars, all unpatented, and available in Japan: Hydrangea macrophylla `Otafuku`, Hydrangea macrophylla `Yamaajisai`, and Hydrangea macrophylla `Fijinishiritaki`. The inventor did not record which variety was used as male parent and which as female parent. 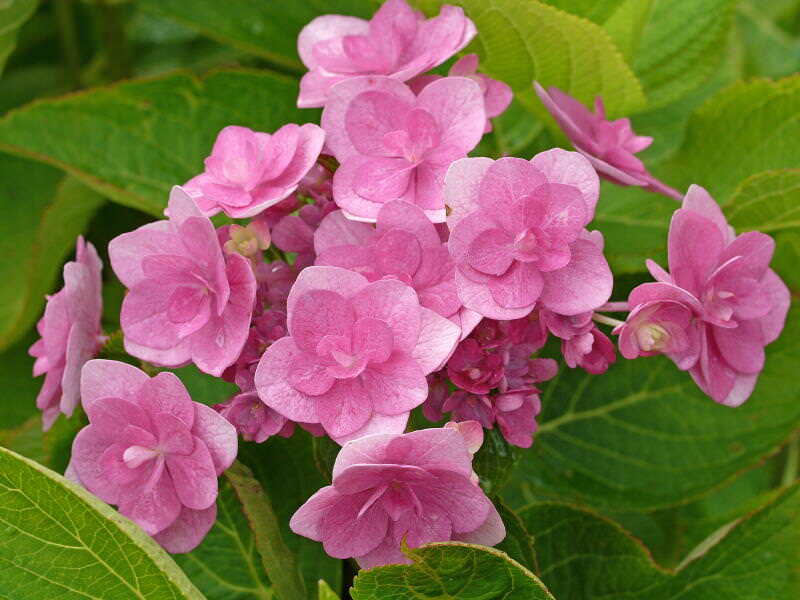 In May 1993, the inventor carried out a deliberate pollination between one unnamed plant from the inventor’s collection as female parent and the variety Hydrangea macrophylla `Sumidanohanabi` as the male parent. The pollination described above produced thirty-five varieties, which the inventor considered novel and unusual. One of these individual varieties ‘Eternity’ was selected by the inventor in June 1994.